It's one of the little known thousand and one quirks I have, that I hate playing chess from the white side of the board. I just feel more confident betting on black. 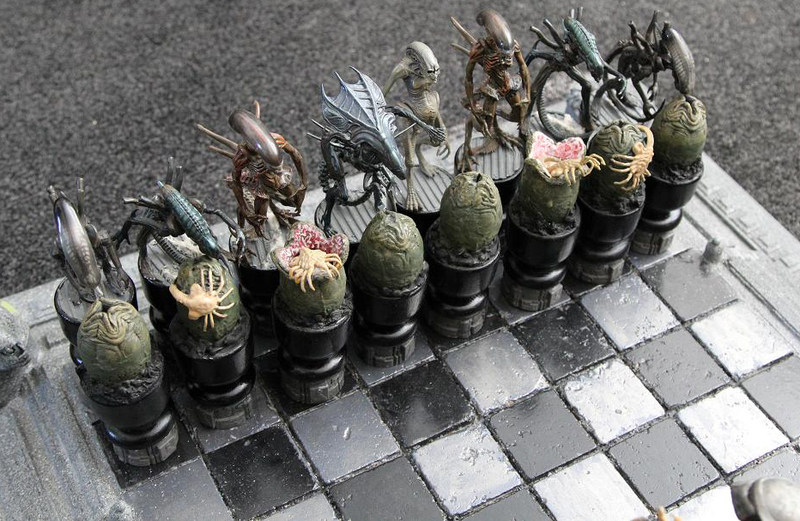 While I'm sure there's a few psycology papers in there somewhere, Francis Gray has made that addiction even harder to break with his fan-made Alien vs Predator chess set. Sure there may not exactly be a 'black side' anymore, and an Arnie and Sigourney figure could've slotted in nicely, but those acid dripping vermin are never gonna' be a match for a whole planet of trained hunters. Want to prove me wrong? Sit in the opposing seat. Want to see more of this set and how it all came together? Hit the jump. 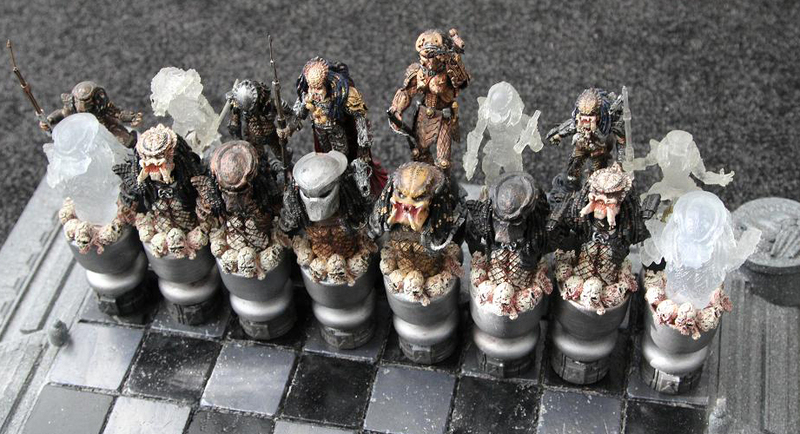 I love the "cloaked" pretator pieces. I thought that was clever too Craig - if only that could happen to the pieces as you play! Then I could really get an advantage!